Craze Music Productions is a studio focusing on musical productions of the highest quality, using the most powerful tools on the market. Christian Andersson is an award winning composer, being winner of the prestigious International Songwriting Competition with 15,000 competitors from 115 countries, finalist in the Great American Song Contest as well as finalist in the U.K. Songwriting Contest and awarded scholarship from the Swedish Musicians Union. He is also listed in the exclusive Top-50-Composers Hollywood A-list at one of the world's largest licensing sites with 3000+ competing composers. Today Christian's productions are available at some of the world's most prominent agencies. With a focus on epic and dramatic orchestral scores, his works are perfect for big movie trailers, cues for TV, Film, Documentary, Commercials and Video Game productions. Below is a selection of TV channels where Craze Music has got broadcast placements in films, TV-series and shows. "You have an impressive talent and produce impressive, flowing and epic orchestration. [...] tremendous energy and potential and you have a natural ability to create contemporary classical orchestration. You should pitch your work for film!" "Our music agency prides itself on possessing the BEST boutique catalog of independent music in the world. Our standards are high, and you should be very proud of yourself as an artist/label." "Your compositions are great; I'm very impressed with your arrangements. 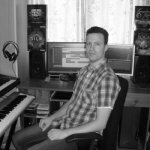 I think you would have no problem as sound designer for video games and film soundtracks. I can easily see you, as a composer, would be a hit among sound designers and video game music supervisors." "His music speaks for itself, but I'll add that it is some of the best that I've ever heard. You could easily hear these tracks in any epic movie, and to be able to add that ambiance to a game is special, to say the least. I'll definitely be working with Christian in future titles"